For fourteen years, The Sarasota Film Festival (SFF) has been inspiring audiences with the finest in international, independent and non-fiction cinema. The SFF celebrates the art of filmmaking and the contribution of filmmakers by hosting an international film festival. The SFF also brings important economic, educational and cultural benefits to the Sarasota community. The SFF truly believes that the future of film is built upon creative interaction between filmmakers and audiences. 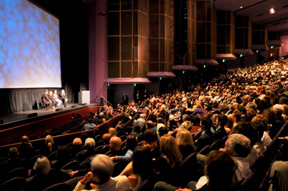 Along with screenings, which are often paired with introductions and Q&A sessions with filmmakers, the festival offers an “In Conversation” series with the most famous faces, a “Tribute” event with celebrated guests, and a variety of events encouraging mingling with industry guests in a more casual setting. The SFF invites attendees to “See Things Differently.” Through films and educational programs, The SFF provides opportunities to engage with people from different cultures, religions, genders and ages. Visitors to the festival have the opportunity to attend screenings of over 180 films from more than 45 nations. 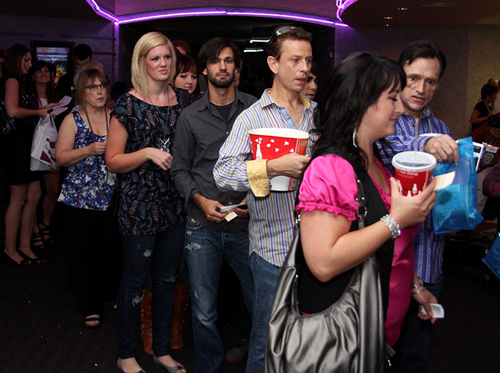 The SFF hosted more than 50,000 patrons last year, making it one of the top ten regional film festivals in the U.S. About half of these attendees are from outside Sarasota County and the city enjoys a great influx of enthusiasm and excitement during the Festival. Each year, local and out-of-town audience members alike enjoy the film selections and the dialogue with more than 100 filmmakers, actors and producers. Beyond the annual festival, The SFF offers a number outreach programs. Last April, The SFF introduced a new partnership as a part of its year-round outreach activities. See Jane at SFF, is an exciting partnership with The Geena Davis Institute on Gender In Media. By encouraging young boys and girls to consider the ways gender roles are portrayed in film and in their own creative projects, the partnership creates opportunities for new cinematic stories and storytellers. The project will culminate in a film program where young filmmakers address their own ideas and concerns regarding gender representation, with Ms. Davis attending The 2012 SFF to view the completed projects and work with the young filmmakers. Geena Davis with students participating in See Jane at SFF. Photo submitted by The SFF. With women still dramatically underrepresented in Hollywood, The SFF is committed to putting the accomplishments of women in the film industry in the spotlight. Having established partnerships with additional organizations including The Gulf Coast Chapter of U.N. Women, Women Make Movies, and creating the Side By Side Women In Film mentoring program, SFF Women promotes independent films by women filmmakers that seek to expand awareness of the lives of women around the world. The SFF is committed to building innovative programs to foster that growth within the community, offering a variety of ways for patrons to experience the art of filmmaking. The SFF 2012 takes place April 13-22. Learn more at www.sarasotafilmfestival.com. This entry was posted in Postcards and tagged culture builds florida, Florida, florida division of cultural affairs, Geena Davis, Geena Davis Institute on Gender in Media, Sarasota, See Jane, The Sarasota Film Festival by culturebuildsflorida. Bookmark the permalink.